A small change can get big results. Changing as little as one, a small daily habit can bring a positive and healthy change to your life. Start small. Take longer walks with your dog, go for a 15-minute run in the morning, take the stairs instead of taking the elevator. Eventually, light exercise will become easier. Then try to incorporate daily workouts into your routine- they don’t have to be very intense at first- just find something that works for you. You’ll feel happier and will find that you have more energy and that you are generally in a better mood. There are countless studies proving that spending time in nature not only inspires creativity, but it also boosts happiness and immunity. People who spend a lot of time in nature are also less likely to develop feelings of anxiety. Whether it’s a hike in the forest, a bike ride or a walk in the park- being in nature has a calming and soothing effect. 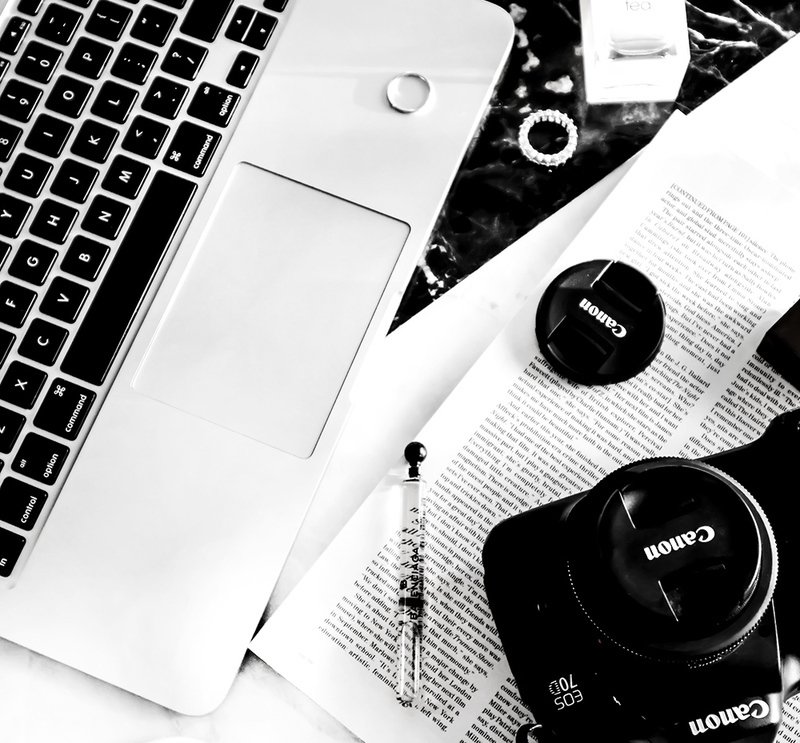 I bring work home with me quite often and I noticed that if I don’t sit down at my desk with my computer and instead try to do my work in the living room sitting on the couch with my laptop, it takes me much longer to complete my work. 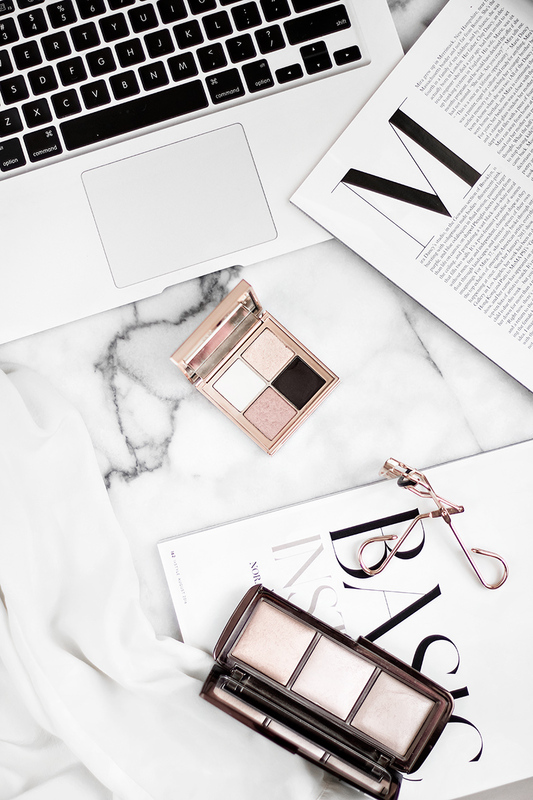 Sitting at your desk when working on an important task will keep the distractions to a minimum which in turn will make your work much more productive. The same thing goes for turning off your phone while working on something important- it minimizes distractions. Ever woke up late and didn’t have enough time to make your bed in the morning? Maybe you always leave that empty cereal bowl on your countertop and don’t pick it up until after you get home at the end of the day? Things like doing your dishes right away or making your bed in the morning only take about 2 minutes of your time, if you think about it, but it’s the little things like these that can make a big difference in your daily life. The dishes won’t keep pilling up and when you get home, you won’t find your bedroom all messy with clothes and pillows lying all over the place. It really might seem like not that big of a deal, but cleaning up after yourself right away leads to developing other good habits and it sort of gives you a small feeling of accomplishment, knowing that you started the day on a positive note. It’s a small change, but it can make a big difference. Swap complaining for feeling thankful and watch your life change. This is one the biggest small life changes you can make. Regardless of your current circumstances, there are people who would trade places with you in a heartbeat. Make it a daily habit to feel thankful for things like your health, your job, your loved ones. Every night, before you go to sleep, think about one, the best thing that happened to you that day and say “thank you, thank you, thank you.” This practice really changed my life- I started noticing and acknowledging all these amazing things that I used to take for granted. If you practice gratitude daily, for a month, I guarantee that you’ll notice your life change. To me, getting an early start to your day is not about arriving to work early or getting more things done before your day officially “starts”. It’s about having those extra few minutes just for yourself, to really enjoy that morning coffee, to get in a good workout or have a light stretch, get a positive attitude and prepare yourself for the day ahead. You can try doing this even if you don’t consider yourself a morning person, even as little as 15 minutes of extra time in the morning (or evening, if you work night shifts) can make a huge difference. Regardless of what you get up to in your daily life, you probably interact with quite a few people. Whether it be your barista, your coworker, or a stranger that accidentally runs into you; always make sure that you treat everyone with kindness. Even though at work I mostly deal with great and really nice people, sometimes I do have to put up with someone who’s condescending or exceptionally unpleasant. One thing that I always think of when this happens is that I would never want to treat another person that way. I witness people being rude to each other all the time, and it always makes me feel uncomfortable. It really doesn’t take a lot to ruin someone’s day so always make sure to be kind to everyone you meet. The same thing goes for when people treat you poorly- “always respond intelligently, even to an unintelligent treatment” (Lao Tzu). You never know where someone’s anger and frustration may come from. Just remember that how you treat others, says nothing about them, but a lot about you. I think now, more than ever, it’s very important for us to be kind to each other. 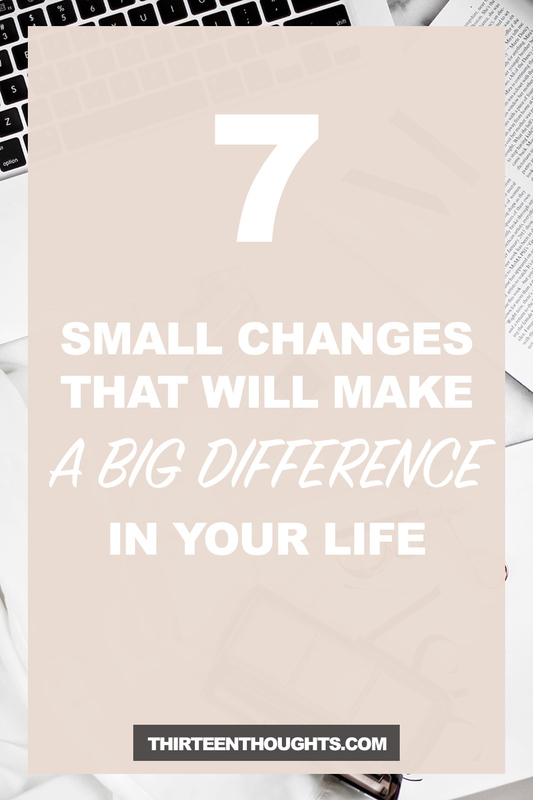 When it comes to those small life changes, you don’t have to make all of them at once to get big results- that, after all, wouldn’t be a small change at all. Start off by changing something small and subtle, but something that will truly make a positive impact on your life.